Description: Throughout his career, the influential new media theorist Vilem Flusser kept the idea of gesture in mind: that people express their being in the world through a sweeping range of movements. He reconsiders familiar actions--from speaking and painting to smoking and telephoning--in terms of particular movement, opening a surprising new perspective on the ways we share and preserve meaning. A gesture may or may not be linked to specialized apparatus, though its form crucially affects the person who makes it.These essays, published here as a collection in English for the first time, were written over roughly a half century and reflect both an eclectic array of interests and a durable commitment to phenomenological thought. Defining gesture as "a movement of the body or of a tool attached to the body for which there is no satisfactory causal explanation," Flusser moves around the topic from diverse points of view, angles, and distances: at times he zooms in on a modest, ordinary movement such as taking a photograph, shaving, or listening to music; at others, he pulls back to look at something as vast and varied as human "making," embracing everything from the fashioning of simple tools to mass manufacturing. 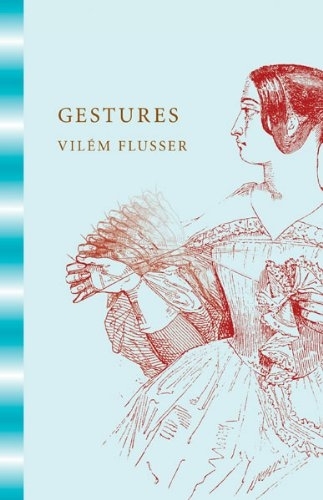 But whatever the gesture, Flusser analyzes it as the expression of a particular form of consciousness, that is, as a particular relationship between the world and the one who gestures. Author Biography: Vilem Flusser (1920-1991) was born in Prague; emigrated to Brazil, where he taught philosophy and wrote a daily newspaper column; and later moved to France. Among his many books that have been translated into English are Does Writing Have a Future?, Into the Universe of Technical Images, and Writings, all from Minnesota. Nancy Ann Roth is an arts writer and critic based in the UK. She previously translated Does Writing Have a Future? and Into the Universe of Technical Images.